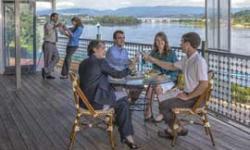 Chattanooga has been named "Best in the U.S." twice by Lonely Planet. One of the best ways to enjoy our outdoor scene and take in a taste of local flavor is to dine at one of our many restaurants with outdoor seating. Here is a list of some of the places you will want to check out! Come for the View! Come back for the food! 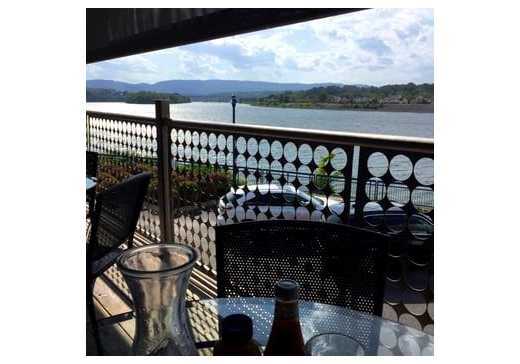 The vista is provided by the Signal and Lookout Mountains, reflecting off the Tennessee River. The Boathouse features a perfect environment and a well rounded menu with interesting fresh ideas from the raw bar, the oyster pots and the wood fired rotisserie. Enjoy the view on the spectacular 2000 square foot deck with misters to escape the heat and heaters for wintertime comfort. Get a taste of Old World Italy in a casual family atmosphere at Tony&apos;s Pasta Shop & Trattoria. Tony&apos;s serves classic Italian cuisine using hand-made pastas, fresh sauces and herbs and artisan hearth breads from nearby Bluff View Bakery. Our wine list features only the best Italian wines. 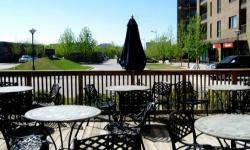 We have indoor seating in our patio or loft, and outside deck seating offers great views of the river. The Blue Plate is Chattanooga&apos;s metropolitan diner. Contemporary comfort food, mixed drinks, and house desserts are our specialties. Our food is chef-prepared from scratch using homegrown ingredients from local farms, bakeries, and ice cream shops. 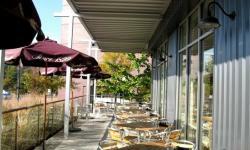 With $1 parking at River Pier, a modern interior, patio overlooking the waterfront, and friendly wait staff, the Blue Plate offers a downtown dining experience that is casual, comfortable, and delicious. Public House Chattanooga takes the best seafood, premium steaks and farm fresh produce to create a fresh, refined approach to the Southern &apos;meat and three&apos; menu. 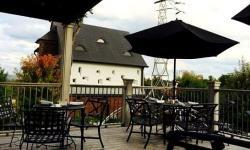 Located on the Southern end of the Warehouse Row complex, the restaurant provides a comfortable, elegantly casual dining room, a lovely patio and lounge area and a welcoming staff. Public House is the ideal setting for a gathering of friends, a special family dinner or just drinks and snacks on the patio. Combining the comforts of unique farm fresh cuisine with a relaxed, yet lively atmosphere, FEED Co. Table and Tavern offers something for the entire family. 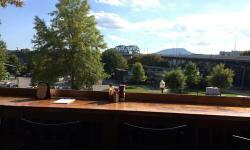 Located on the Southside, the restaurant is complete with a full bar featuring 32 rotating craft beer selections as well as an arcade and the largest covered outdoor patio in Chattanooga. 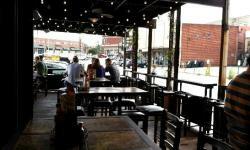 Join us for food and drink specials as well as live music and entertainment. FEED your soul. Located on the North Shore, Food Works has become a local staple for lunch, dinner or Sunday brunch. Known for our bold flavors & extensive offerings, we welcome you to enjoy our unique space & ambient atmosphere. The joy of pleasing people through food & outstanding service is our inspiration. Food Works specializes in parties & events for all occasions. Our spacious Upper Dining Room features high ceilings, exposed brick & ambient lighting. Universal Joint Bar & Restaurant in Chattanooga is located in the old Farrow&apos;s Service Station -- at the corner of Vine Street and Georgia Avenue. Universal Joint will serve a variety of lunch and dinner dishes, including sandwiches, burgers, salads, tacos and bar snacks. Our outside seating area is always a good time with the biggest game on the screens, corn hole being played , and good times abound! Come see why the Chattanooga Times Free Press calls our menu, &apos;...unlike anything I&apos;ve ever seen at a Tex-Mex restaurant.&apos; Open for lunch and dinner 7 days a week, Taco Mamacita features a modern, eclectic menu where the taco is supreme and a full bar with patio. Everything is made fresh, in house daily (Including the famous margaritas).Located just across the Market Street Bridge on the NorthShore. Free parking lot! Brewhaus on Chattanooga&apos;s NorthShore is a congenial gastropub offering an inventive German-American menu & old-world beers, plus tastings. 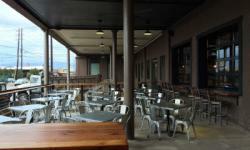 Brewhaus is Chattanooga&apos;s only German-American gastro pub. 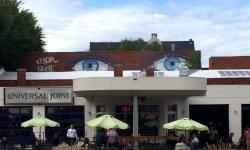 Inside you will find a welcoming and quirky atmosphere and wonderful service. 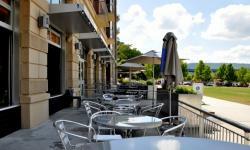 Outside on the patio area you are treated to a great view of Coolidge Park and Chattanooga&apos;s Walnut Street Bridge.